CTAV Delivers Superior Insurance Coverage To You! As a member of the Community Transportation Association of Virginia, you're eligible to participate in the CTAV Property and Casualty Insurance Program. Take advantage of CTAV’s buying power! 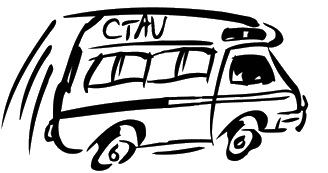 As a member of the Community Transportation Association of Virginia, you are eligible to participate in the CTAV Property and Casualty Insurance Program. This comprehensive insurance program offers superior coverage tailored to transportation organizations. Many of these coverages are not found in traditional insurance policies. Additionally, your membership provides access to our exclusive group rates. All quotes are free and no obligation. This program is underwritten by Selective Insurance- a stable company with A+ (superior) rating from both A.M. Best and Standard and Poor's.